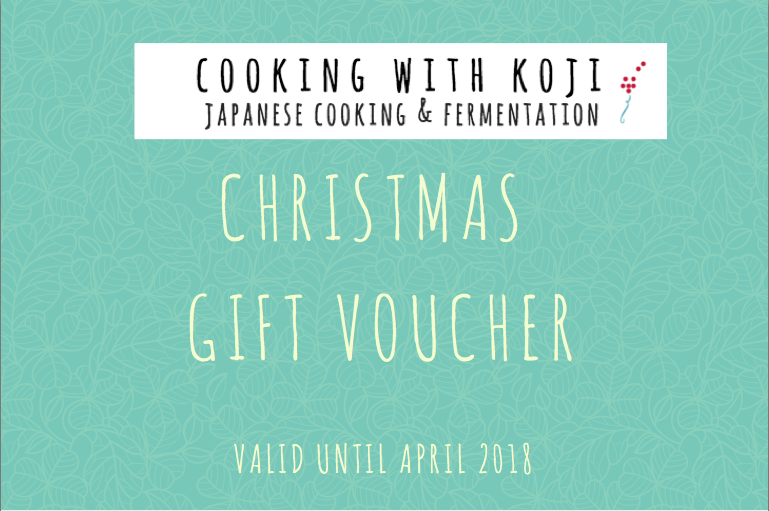 Christmas voucher is now available ! So hot in Melbourne yesterday! Did you survive all right? Our small car doesn’t have air condition, and parked under the sun for 3 hours. OMG, the air in the car was so painful! I think my skin was nicely grilled by the heat in the car! Christmas is around the corner, and I had some requests for Christmas voucher! We haven’t informed it yet, but yes, we have! Sorry for late information!! 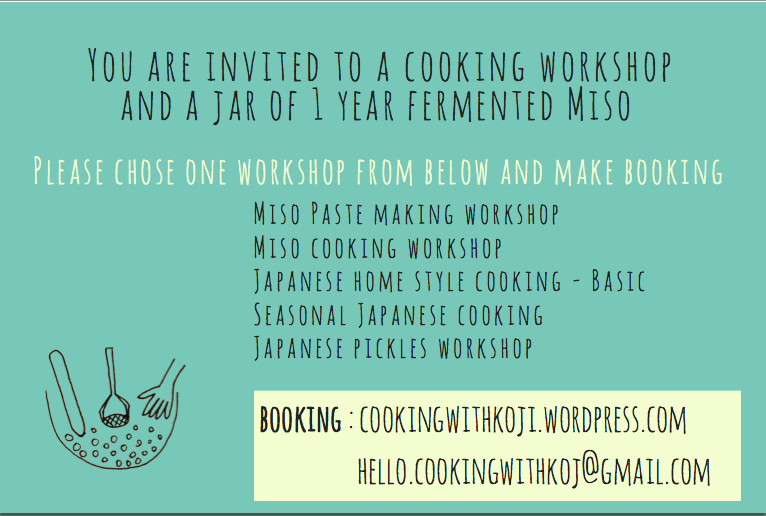 It’s $95, comes with 1 x fun workshop you can choose from, and also 1 jar of 1 year fermented miso to bring home, or $80 without jar of miso. Please contact us and we’ll organise it for you. 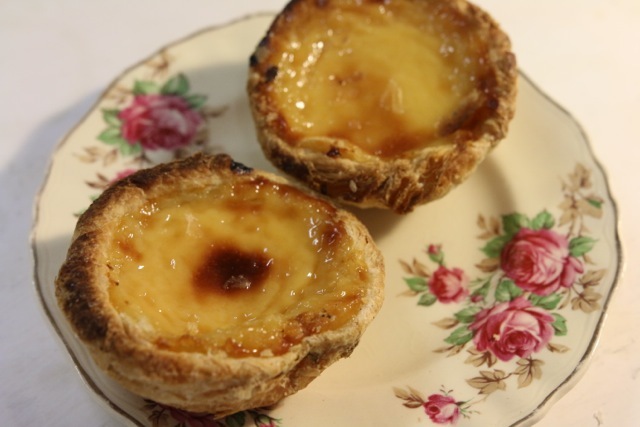 I was walking Preston Market today, and found looks yummy egg tart. I’m not sweet crazy person (I prefer savery), but just a few moments through the year, wants to eat egg tart! and it was today!! 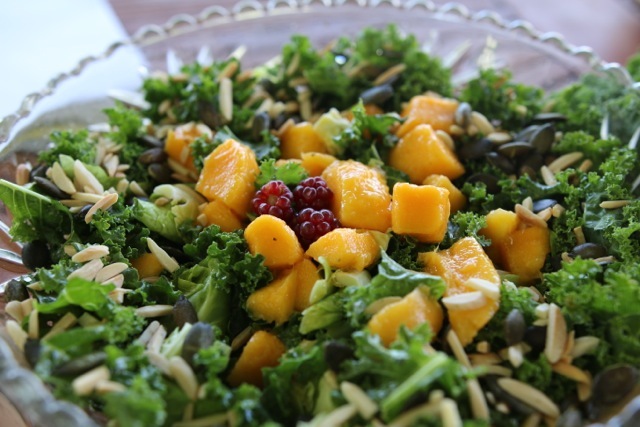 And dinner was Kale salad. We make this pretty often during summer. Sometimes with Miso dressing, sometimes with Mango, depend what we have. While I was in Japan, people didn’t believe our lunch/dinner can be done with one dish, but we really often do! One dish, but we like to put lot’s of ingredients and I eat a lot. I mean, a lot!